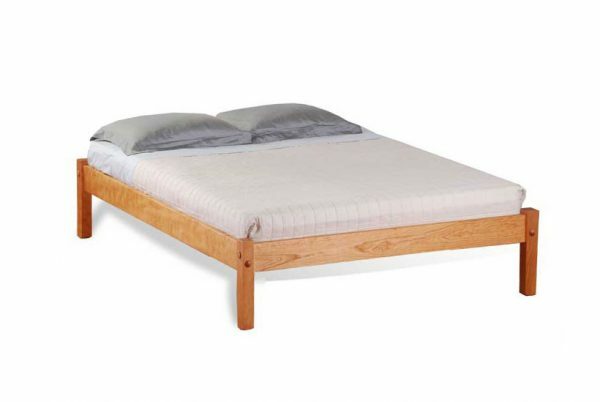 Our Harrison Platform Bed is our has all of the elements that make our platform beds enduring – solid hardwood construction, bolted joinery – without further embellishment – the essentials. Choose from cherry, walnut or red oak in all standard sizes. Our Harrison Platform Bed is our “has all” of the elements that make our platform beds enduring: solid hardwood construction, bolted joinery – without further embellishment – the essentials. 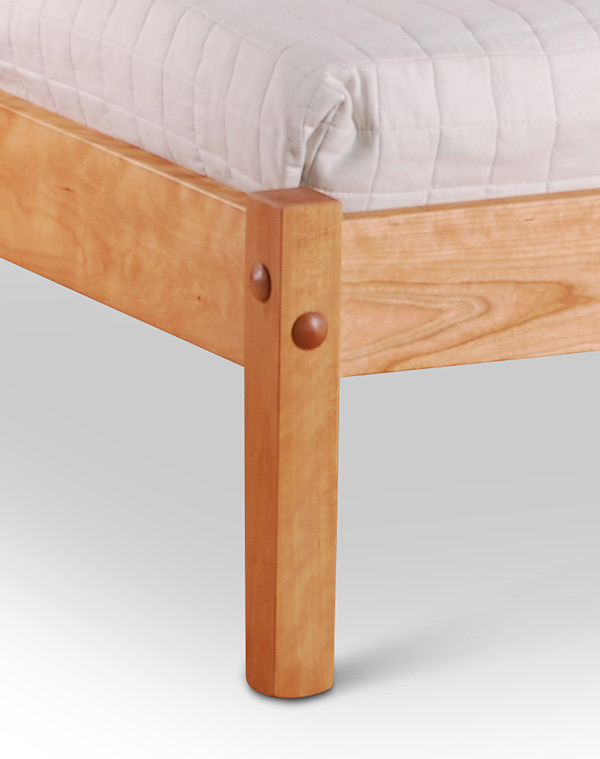 The head rail is prepared in such a way the a headboard can be added later with some minor adjustments. Our Harrison Platform Bed is available in cherry (as shown), walnut or red oak. They are made in our Brooklyn workshop of locally sourced hardwoods and finished with non-toxic plant oil and wax. 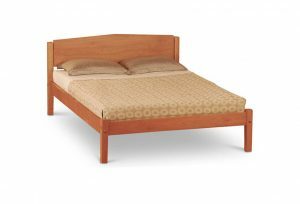 The platform beds are designed for use with a mattress only – no box spring or foundation is necessary. 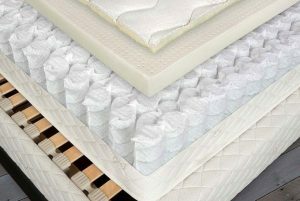 The mattress is supported by a an array of hardwood slats that promote beneficial ventilation for the mattress. 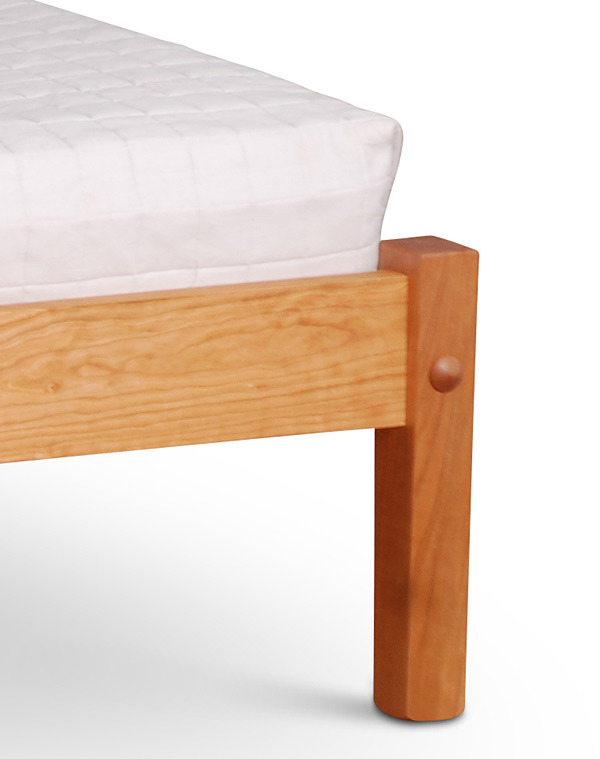 We are confident that our Harrison Platform Bed frames will last for generations – the reason is bolted construction. 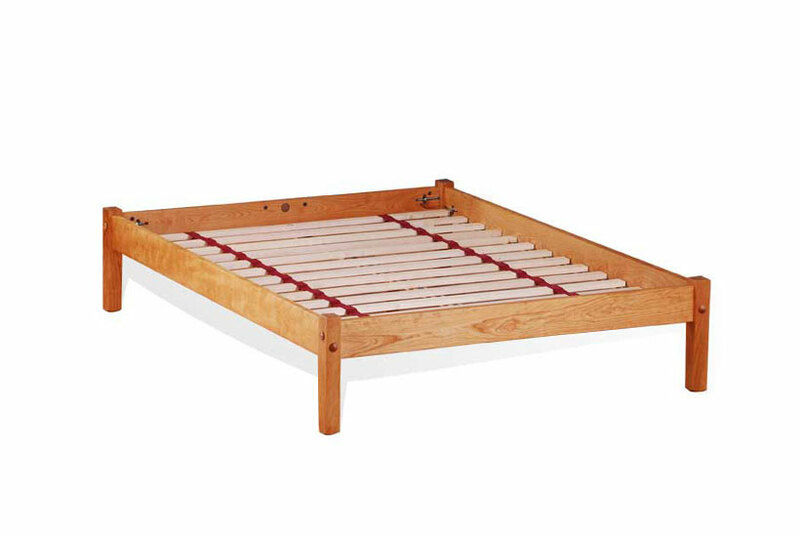 Our under-bed storage boxes fit perfectly under the rails of the bed, adding a significant amount of additional storage. 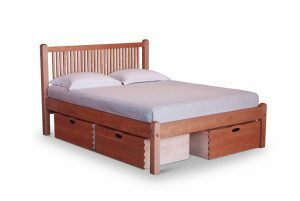 We offer under bed storage boxes, sized to pull out from either the sides of the bed, or from the foot. The under-bed boxes roll easily on either hard or carpeted surfaces on omni-directional wheels. Available in Twin, Twin XL, Full, Queen or King. Custom sizes available upon request.